Celeb reveal confirmed for 8th September! Never let it be said that we don't keep you bang up-to-date with the very latest Strictly news! We were chatting this morning with our close friends in the Strictly Come Dancing publicity team, and they told us that they'd love to pass a message on to you. So, over to you, gang! Hi, here's the first News Blog posting from the Strictly Come Dancing Press Team! We wanted to introduce ourselves to you, and to give you a little information about who we are and what we do. Basically, we're a team of four who look after the show from a press point of view, which means we're the first point of call for journalists and thus always very busy indeed! We're excited to let you know that we will announce this year's celebrity line-up on Wednesday 8th of September, the day that we film our brand new red carpet Launch Show. We've seen a few of you comment that you're a little concerned about the fact that you may find out who's being partnered with who, and it won't be a surprise on the night. 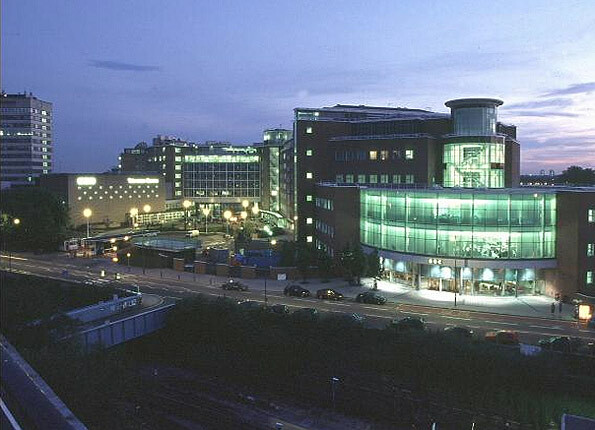 Rest assured, we're working with the press to make sure that these details aren't reported until the show airs on Saturday 11th - and of course, we will be asking the studio audience to please keep it to themselves as not to spoil it for anyone. We've got lots of great ideas for this series and can't wait for it all to kick off next week. Do keep in touch with us on Twitter and Facebook, or leave us a comment below - and we'll be back with more exclusive news soon! Many thanks for that, Publicity Team! So make sure you mark the 8th September in your diaries, clear your decks, book the day off work... coz that's when you'll discover exactly who our 14 celebs for 2010 will be! Our video section is now accessible on the Strictly website. Plus, check out this funny Strictly spoof on BBC Comedy. Last year's Lets Dance for Sports Relief was funny, but this amazing clip of Robert Webb in a leotard will always have a special place in my heart! If you want your choreography to be as good as (ahem) Robert's, BBC Blast have put together this handy A - Z of dance moves called Dancepedia. Plus So You Think You Can Dance have step by step instructions on styles such as the Cha cha, Waltz and Salsa. So push the coffee table in your living room to one side and get grooving! Those of you who are partial to a bit of Tango will be pleased to find out about Tanguera, a new show discussed on BBC Breakfast by past Strictly winner, Chris Hollins with Junior Cervila and Rainer Tominski. There's plenty to look forward to on EastEnders' sister show, E20, as some new dancing cast members are set to join the show! Fingers (and pointed toes) crossed that we get to see more of their moves soon. And don't forget you can still enjoy classic clips from Strictly's past, over on our Strictly Come Dancing 2009 website. Last, but not least, this clip combines 2 of my favourite things - Mr Darcy from Pride and Prejudice and more from that dancing lunatic, Mr Robert Webb. Have you got a favourite dance clip from Strictly or elsewhere on BBC? 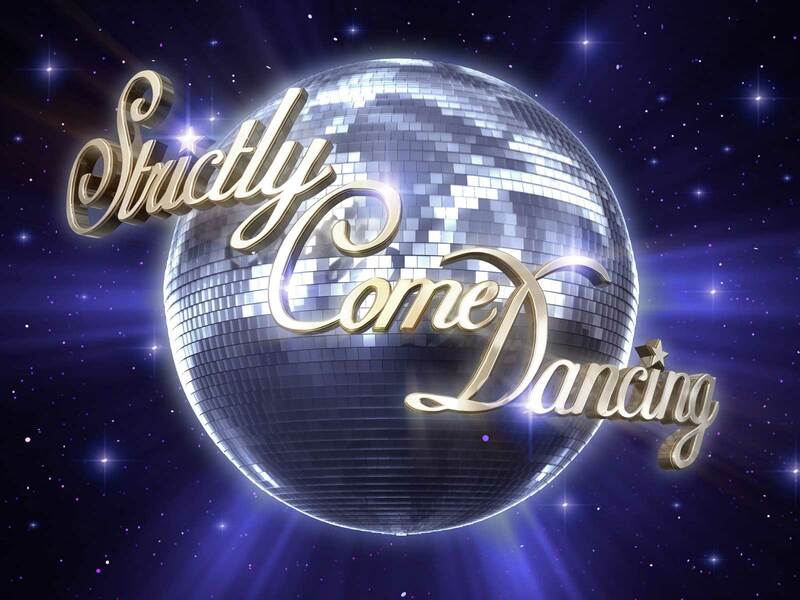 Remember to put Saturday 11th September 2010 in your diary as Strictly Come Dancing returns with a brand new one-hour studio launch show. The show will be recorded at the BBC's world-famous Television Centre on Wednesday 8th, and of course we will be on the red carpet, keeping you lucky fans up to date with all the glamorous action via Twitter, Facebook and the BBC's official Strictly Come Dancing website. Inside the studio, for the first time ever, the audience will get to see the celebrities being paired with their professional dance partner on the Strictly set. Previously these "first meets" were filmed in training rooms, but this year the identity of who is partnering who will be kept secret until they meet on the Strictly dancefloor. This will give us all the chance to watch each joyous (or not so joyous!) reaction. The professional dancers and celebrities will also perform a group dance giving viewers the chance to pick out their favourites! Once the show is over it's time for the couple training to begin. But will they be ready for the first live show just three weeks later? So, the new site is up and running and many of you have noticed that there are no boards. Here's the reason why. This year we've decided to focus the site around our unique backstage access to Strictly, particularly around the live shows. We're going to be there every Saturday night giving you exclusive news, gossip, pictures and videos from the heart of the action. Unfortunately, this means we have had to cut back in other areas - namely the messageboards. However, there are still plenty of opportunities for fans to have their say on various hot topics throughout the series via our News Blog . Four new dancers have joined to complete the new Strictly Come Dancing Professionals' Dance Troupe, which will perform spectacular dance routines throughout series eight. They are: Tanya Perera, who was a featured dancer in the West End production of Dirty Dancing; Shem Jacobs and Aneta Piotrowska, who have both performed in the Polish Dancing with the Stars; and Crystal Main, who has performed on Strictly Come Dancing in South Africa. Crystal, Tanya, Aneta and Shem will join Darren Bennett and Ian Waite to make up the six-person group and together they will make their group debut performance in this year's Strictly launch show, due to transmit on BBC One on September 11th. As well as the troupe debut, the launch show will feature a red carpet event at BBC TV Centre, a revamped set, pairings of celebrities and their pro dancing partners in front of the studio audience, plus a group dance featuring all this year's competitors. So what do you think? Remember you can apply for a limited number of free tickets to the launch show via the BBC Shows and Tours website. You may have noticed that the Strictly website is a shimmering masterpiece this year! But it's not only a touch of glitter and glamour that's been added. We've got plenty of new and improved features for you to explore. The Strictly News Blog, run by myself, Paul, Gemma and Andrew, is THE place to find out all the exclusive gossip from behind the scenes of the show. We'll be rushing around the studio corridors and celebrity dressing rooms every weekend to find the latest inside scoops, clips and snapshots for you to soak up straight away and discuss. Our Facebook fan page has been revamped too and we'll be snapping some cool images for Twitter, so make sure you're signed up to follow our tweets and Facebook as events unfold. So you're a fan, but can you score a perfect 10 in our weekly quiz or are you, as Len would say, "all steps, all sizzle" and "no sausage"? Have a go and see how you do! Want to take up some local dancing lessons? If you're more "tragic" than "magic", you can learn how to be a ballroom dazzler with our 'Get Dancing' section, coming soon. And it doesn't stop there, we've got plenty on its way to satisfy your Strictly cravings, including new judge and presenter bios, image galleries, 'Strictly in 60' and other video clips, handy FAQ's, newsletters (make sure you subscribe!) and more. We'd love to hear what you think of the new site. You can sign in and leave comments below. (By the way, if you've just signed up, it may take a while for your first few posts to appear). The next date to look forward to is Saturday 11th September when all the celebrity couples and their professional dancing partners will be announced! Any ideas on who they might be? After last year's introduction of three new female dancers, this year sees three new male professionals taking to the dance floor on Strictly. Each of them brings a new area of dance expertise and will join in a series which features more genres of dance than ever before - in both the competing couples' routines and the professional group dances. ARTEM CHIGVINTSEV, a Latin Champion who is a graduate of 'So You Think You Can Dance' in the US and has unique experience of very different dancing genres in addition to his ballroom champion-level skill. JARED MURILLO, who at 21, was a US open Swing Youth champion. Trained in America, Jared was a principal dancer in the movies 'High School Musical' 1 and 2. ROBIN WINDSOR has completed five world tours of a worldwide ballroom show. He says that he's not a "conventional" style of ballroom dancer. RETURNING to compete this year are: Anton du Beke, Brendan Cole, James Jordan, Vincent Simone, Ola Jordan, Flavia Cacace, Erin Boag, Kristina Rihanoff, Natalie Lowe, Aliona Vilani and Katya Virshilas. 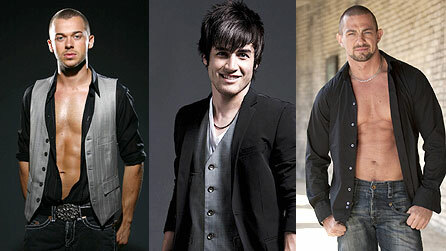 So d'you reckon the three new dancers will fit into the Strictly family? Who've you most got your eye on as a possible winner? Something to look forward to this year is an increase in the number of spectacular group dances to enjoy. Not only will our 14 competing pro dancers be showing off their skills as usual, but we're also unveiling this year our Dance Troupe of professionals - including Strictly favourites Ian Waite and Darren Bennett. Watch a clip of a spectacular group dance from last year's show. The excitement here in BBC TV Centre is growing by the day! Yes, the brand-new eighth series of Strictly Come Dancing will soon be bursting onto your TV screens. But what exactly is happening this year? Well, the excitement will kick off on Saturday 11th September, in a special hour-long launch show to be shown on BBC One. You'll meet the 14 new celebrities, and see the magical moment when those celebs are introduced to their professional dance partner. Then our new dancing couples will then have just three weeks to prepare for the first live shows. Who will take to dancing like a duck to water? And who will sink without trace?